This is the second and last Gnidrolog album (not counting the 'Live' album of the same year) before they split for a long 17 years. Apart from Gnidrolog, these first of all are UK (after "Danger Money"), Argent (after "Counterpoint"), Light (after "Light"), and a few more, maybe. First off, "Lady Lake" is the work of unique originality. In spite of the presence of already universally recognized (a lot of) Titans and (lots of) other quite strong and original bands cultivating the same fields of Progressive Rock, "Lady Lake" is full of Inspiration and free of influences. This is an album of excellent sound quality, which is quite rare for those years. 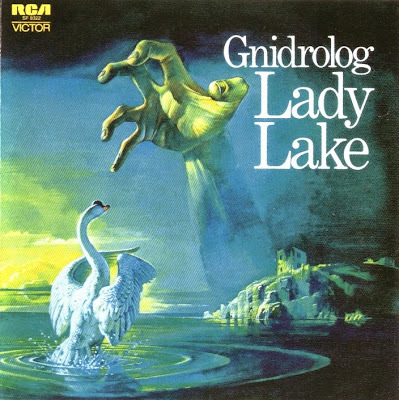 As a real Classic For the Future, "Lady Lake" today is even more than simply listenable work (of genius). While all its vocal themes are excellent, all the instrumental parts within each separate song are simply outstanding with their powerful (real!) jams, full of incredible, diverse interplays between all the instrument(alist)s but especially between saxophones / flutes and lead guitar.